An election immediately after eight years of Rochas Okorocha’s reign in Imo State should not be a normal election. Rather, it should be a time when all hands must be on deck to change the vicissitudes of Okorocha’s governance. To caution that Ndi Imo must be very careful is not enough. Therefore, I am writing this endorsement for my preferred candidate –the Honorable Emeka Ihedioha, to help the electorate filter through an array of candidates and make the right choice for our next leader. But how do you write an endorsement for any candidate in a political climate characterized by the “lesser evil syndrome”? By this, I mean a political climate where support for a credible and honorable candidate, such as Emeka Ihedioha is justified only because he is the lesser evil, but not viewed as viable choice as a leader. A political climate where an honorable candidate lacks the opportunity to serve, while the voters must cast their ballot for the lesser evil. In a general sense, it is not a good time for democracy; however, it is also an opportunity to choose the right candidate who will restore the people’s hopes and aspirations. If you are supporting Honorable Emeka Ihedioha because you think that he is the lesser evil, I am writing this endorsement to stir up your enthusiasm and excitement for his candidacy as the next governor of Imo State. I also urge you to take a deeper look at the other candidates running against him. Besides rising head and shoulders above the rest of the candidates, Honorable Emeka Ihedioha is the only candidate in this race who can restore, not just the people’s hope in democracy, but also in humanity. This endorsement will be an exercise in futility if I spend time dismissing the skills of the other candidates. From my experience as a political consultant, I understand that running the other guys down is not always an effective campaign strategy. Instead, I will focus on Honorable Emeka Ihedioha’s talents and how they fit with the challenges that the Imo State faces. Consider, for example, that the next governor of Imo State will inherit a colossal decay of infrastructure. To understand why we have infrastructural decay in Imo State, you must first understand the missing link. Most elected officials, such as Rochas Okorocha lack the fundamental understanding that infrastructure and economic development is a basic democratic right owed to the people. It is not a privilege that is bestowed at the impulse of the governor. Honorable Emeka Ihedioha is the only candidate in the Imo State governorship race who understands this basic democratic principle. For the past eight years, we have watched Rochas Okorocha deny basic democratic rights to the citizens of Imo State, and in many instances, this was done out of ignorance and high-handedness. In fact, it is easily arguable that the people of Imo State suffered an unprecedented abuse of power under Rocha Okorocha. Besides voting for Honorable Emeka Ihedioha, a vote for any other candidate in the race for the governorship of Imo State is a sure way to have the events of the next eight years rhyme with the past. As Mark Twain once said, “history does not repeat itself, but it rhymes”. Consider also that the next governor of Imo State will take office at a time when workers and pensioners are owed an absurd amount of money in salaries and pension payment. The choice of Ndi Imo in this election must reflect the candidate that is more motivated to solve these problems. Honorable Emeka Ihedioha’s rise to this point has been characterized by slow successes, rather than by moments of opportunistic change. What I am trying to say is that his humble beginnings give him a unique advantage to understand the financial problems of families in Imo State. In his years of service to the people of Imo State, Honorable Emeka Ihedioha has developed the bureaucratic skills to not only find viable solutions to the problems we face in Imo State, but also to sustain those solutions and chart a new path for the state. Consider that Imo State lags other state in job creation; yet, it produces the highest number of university graduates in the country. Honorable Emeka Ihedioha is the only candidate in the race for the governor of Imo State with a track record of job creation. 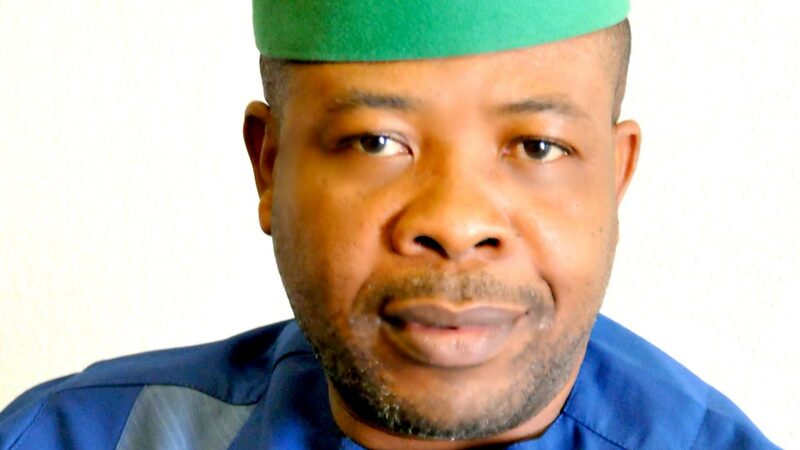 As speaker of the house, Honorable Emeka Ihedioha worked below the radar to provide jobs for many Imo youth. Support for Honorable Emeka Ihedioha must be rooted in his vast experience and skills and not on clannish sentiments. It also must not be based on party politics and affiliations. These reasons fail to provide thoughtful support for any candidate. The problems we face in Imo State demand that we rise above nepotism and partisan politics. When support for a candidate is based on these parameters, it circumvents all possibilities of electing a credible candidate with real problem-solving skills. For Imo State to make significant progress after eight years of massive mismanagement, it must elect a governor with an acute sense of discipline and accountability. Anything short of this objective is simply applying the same solution to an old problem while hoping for a different outcome. In other words, elections become the proverbial arrow that keeps missing the target. Wayne Rooney arrested in U.S.